Prohibition Agents Mack Carol Parson and T. Ormond were patrolling the Columbia-Greenville Highway, about 15 miles outside Columbia, SC. At about 3:40 a.m., they saw two men driving a Ford Roadster. This vehicle was known to the agents as one used to haul whiskey. The agents gave chase for about 20 miles and were finally able to overtake the Ford and force it to stop. As Agent Ormond began walking to the Ford, the suspects started to back up at a high rate of speed. Agent Parson also started to back up, but the liquor car went around him and drive off. Since time was of the essence, Agent Parson decided not to wait for Agent Ormond and he pursued the two suspects alone. The chase continued for another 20 miles. As they drove along the dark highway, with their bumpers only inches apart, the Ford Roadster without warning suddenly swerved to the right and passed a truck traveling to its immediate front. Agent Parson apparently did not see the truck and was taken by surprise. Unable to maneuver around the truck he crashed into the rear end, resulting in his death. Agent Parson joined the Bureau of Prohibition on January 6, 1930, with an annual salary of $2,300. He carried badge # 2152. In writing the official report of Agent Parson's death, the unidentified (and obviously frustrated) author noted the following in his report: "This clearly demonstrates the foolishness of trying to compete with money, high-powered cars and organized crime, poorly equipped. We must have more than equal speed in cars to overtake the liquor cars and stop them." 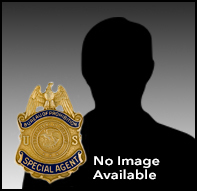 Agent Parson was born in Fountain Inn, SC. He was survived by his wife Beatrice, and their children, Frances, Nell, Margaret and Mack, Jr.